You are here: Home / Featured Artist! 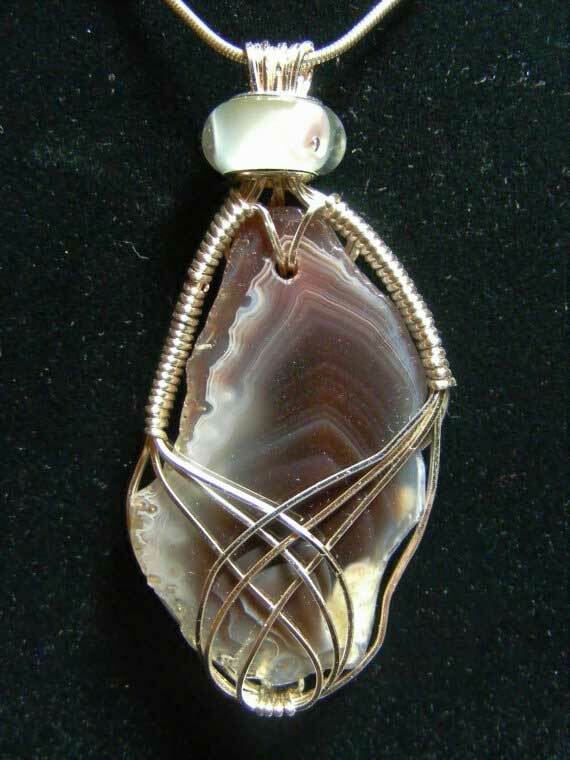 ‘Botswana Agate Pendant’ by Rachelle Leon. All rights reserved. This installment of the “Featured Artist” is Artist Rachelle Leon. Her work encompasses drawing, photography and most recently (and successfully!) 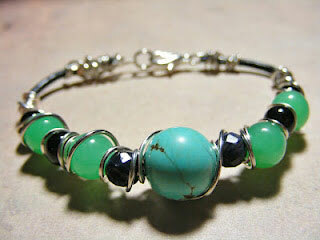 wire wrapped and bead jewelry. As you know by now, the point of this page is to learn about the Artist, from the Artist. So without further ado, Rachelle in her own words. ‘Water Cycle’ by Rachelle Leon. All rights reserved. Rachelle R. Leon was born in Boston, Massachusetts and raised in the small surrounding town of Winthrop. She shortly attended the Museum of Fine Arts School, Boston. While there she discovered her passion for the pen and she earned a BFA in Professional Writing at Salem State University. After moving to Maine she attended Southern Maine Community College, where she earned an AS in Marine Biology and Oceanography. 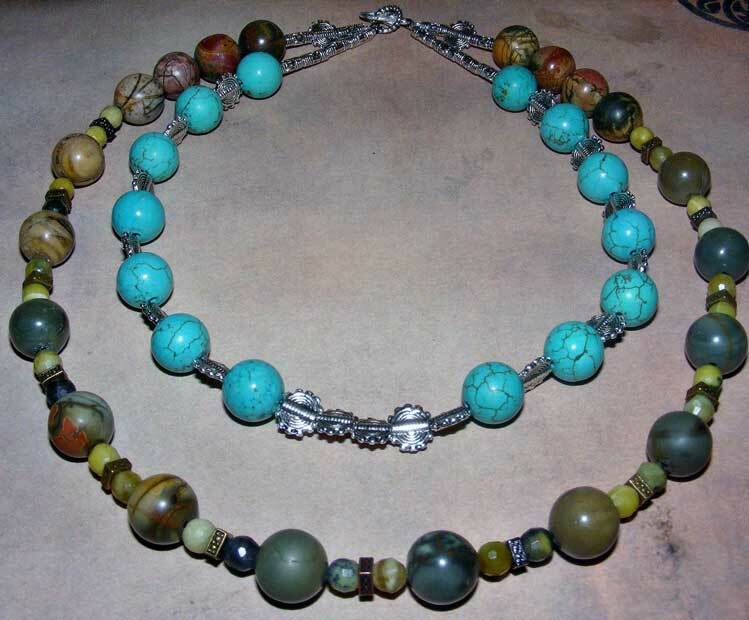 Rachelle is a self-taught jewelry artist who looks upon outside influences as inspirations and teachers of the craft. She closely studies the juxtapositions within nature and tries to incorporate those ideas into her jewelry. She gives the client the ability to still be a part of nature in such a digitalized world. By accentuating the tendencies in nature, it lends the client the realization that what we see within our daily lives is not that dissimilar from what we find in nature. She enjoys working in collaboration with other artists and celebrating collective energy. ‘Heaven & Earth’ by Rachelle Leon. All rights reserved. Rachelle’s style is eclectic and abstract. She does not limit her medium in which she works. 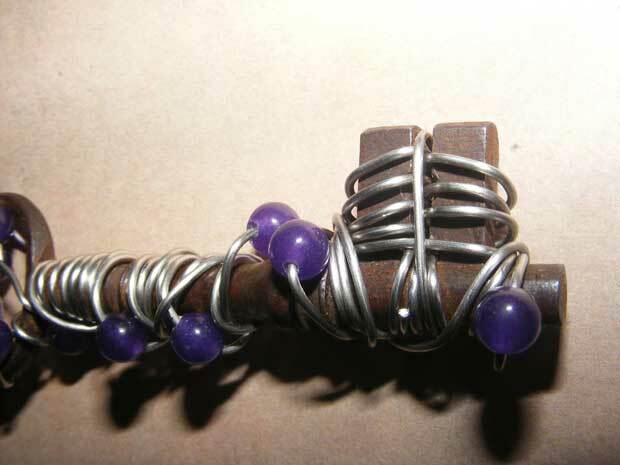 Recently, her pieces exhibit the weaves, bends, twists, and turns of wire. In the future she plans on working with leather, suede, and basic beading techniques, along with incorporating wire. 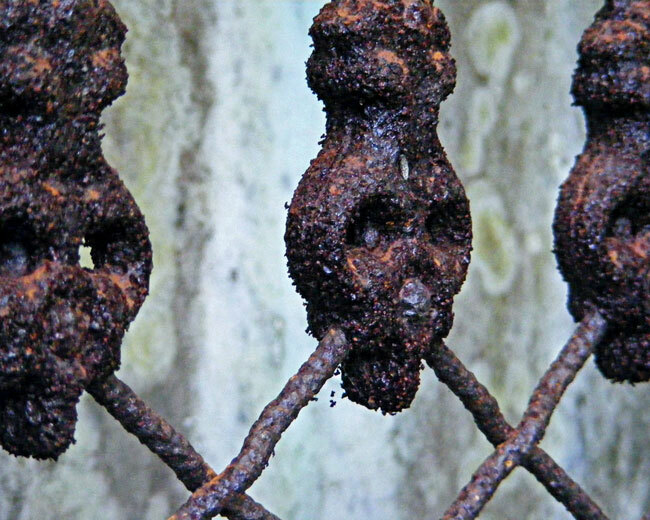 ‘cráneos de los muertos’ by Rachelle Leon. All rights reserved. Rachelle is always dreaming up new designs and ways of communicating her message that the integration of nature and technology has always been. 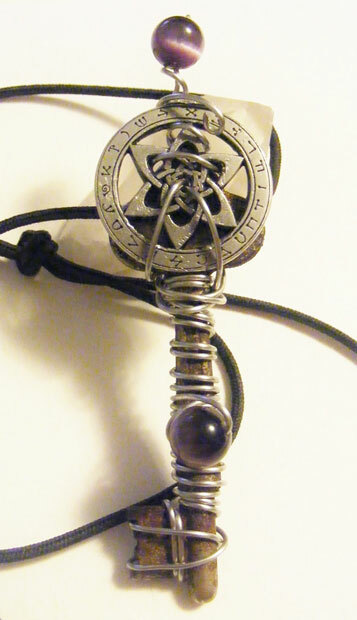 ‘Astrologer’s Star Key’ by Rachelle Leon. All rights reserved. Some of Rachelle’s influences include Frida Kahlo, Alphonse Mucha, Sir John Tenniel, HR Giger and Lewis Carroll. 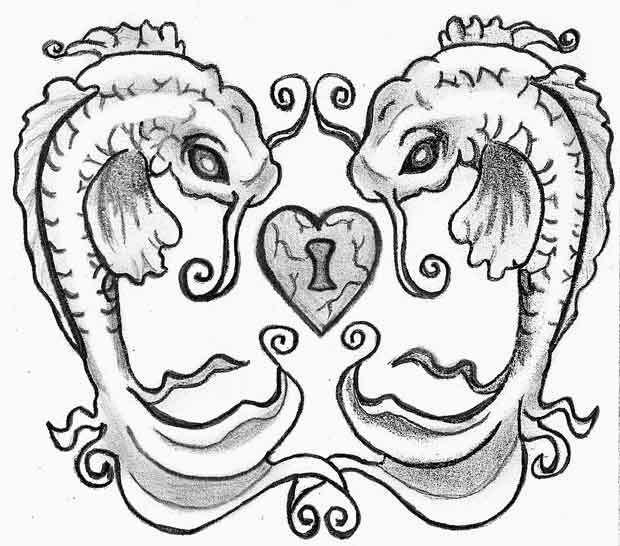 ‘Labyrinth Key’ by Rachelle Leon. All rights reserved. Rachelle currently resides in Gorham, Maine with her husband, Max and their two cats, Ichabod and Pumpkin.